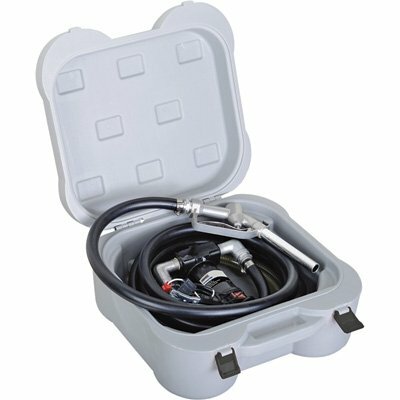 Want to buy a 100-150 gal atl bladder. Just don’t know which way I want to transfer. What’s y’all siggestions? I have done it two ways one gravity feeding it but This was on an express style boat we strapped it to the bow and once we got off the shelf immediately unloaded it rolled it up and we’re good to go. Second way we mounted a racing fuel pump in a plastic milk hull with one end open to the fuel tank the other end mounted on a quick connect we put on the drain of the fuel bladder we also took a I believe it was a 3 in pvc cap drilled small holes in it and put it on the fill port of the bladder to help it drain faster and reduce splashing. I had two fuel tanks on last cat boat. Put T valve on fuel line each side to run off bag on way out. Roll it up when empty and run off below deck tanks. Have done manual pump transfers with gas ...hated it. Also have done 110 volt pump tranfers to fuel fills with diesel when we burned off the amount in bag...not fun when it is rough. I think with gas easiest to run off bag on way out. http://motorsports.jiffy-tite.com/do...talog_2015.pdf or call them to make sure. Also using: http://www.piusiusa.com/piusi-box/ 12VDC pump I have 2...original had failed due to my gross misunderstanding. My issue with ethanol was simply solved...my jifftite fittings were not for ethanol gas, only diesel...fluorocarbon seals are for both...by running gas through them and letting it sit they virtually dried up and similar issue with pump, only designed for diesel. I went this way mostly due to cost of getting into commercial duty pumps. So when i get back I put in 10 gallons of diesel pump it in truck, everything has the benefit of the lubrication qualities of diesel fuel...And test it all with same method before we leave...It's really hard to lift 60 gallolns of fuel after my pump died at Boomvang...Piusi tech told me to due that and now after rebuilt pump runs great. Also Jiffy Tite sent me new fittings with correct seals. All quick connect fitting go into Piusi case, it is very convenient and no orders. Like Tom said ATL rolls up in really nice bag...might want to get ATL Stainless Steel Ball-Valve Outlet my brass one has some rust on handle. When connecting fittings use Amazon: Gasoila E-Seal Pipe Thread Sealant with PTFE Paste, Non Toxic, -100 to 600 Degree F, 1 Pint Brush or similar. I'll never use all mine I can help you? Make sure and use vise and big wrenches or it will leak! Nothing to fail, and it worked well...just took time. We basically ran the end of the use straight into the fuel fill. This should be a lesson for everyone.... Always always carry 2 pumps. One you are using and one brand new one in a box so that if it fails, you arent stuck. When the first one fails, go straight to the store and buy another one to keep in box on the boat. This is how I do it. I have had one fail too...they all will. I use harbor freight diesel 12v pump and get extended warranty. They always break before the warranty runs out, so you pay for a new warranty only after you buy the first two. I dont believe they will work for gas though. When i had my CC, i used barrels and manual pumps. For a small center console, the barrels take up less room on the floor, easier to move if you need to and you can tie them to the T-top after finishing. Bladder on a 25-30 ft boat takes almost the whole cockpit in the back. Hell, my 150 g bladder on my sptfisher takes up most of the deck but since its deisel i dont worry about the pumps as much with fire. (hence using manual pumps and barrels for gas). Just my 2 cents. Take it for what it is. Im sure everyone has thier own way of doing things. Connect the suction side to the outlet on the ATL and the discharge hose goes to my fuel fillers. I don't recommend running off the bladder because it's stable when it's completely full but it sloshes around like a beeotch when it's only partly full. I really enjoy my 12 pump for fuel transfer cost $190, all in one solution I have two of them one for backup. Ineed to get a 50 gallon bladder tank this year and was thinking to use a blower for air mattress and just blow air in the tank, be safe and fastest I think, what y’all options on that?